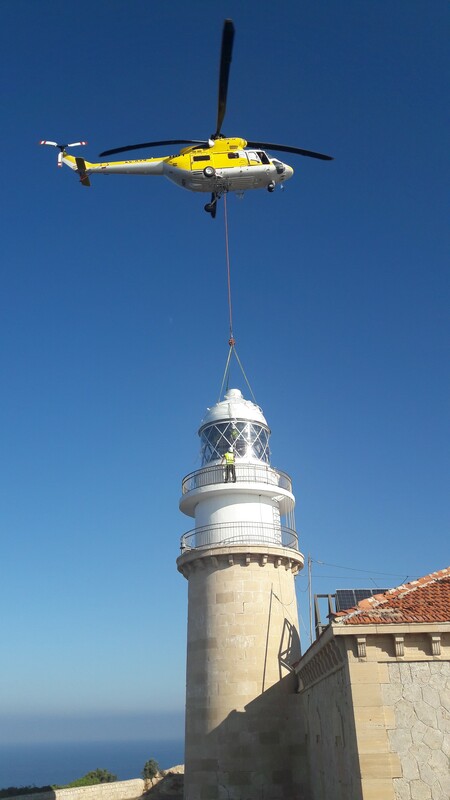 After functioning for almost half a century, the lantern of the Llebeig Lighthouse has been replaced by a new one. 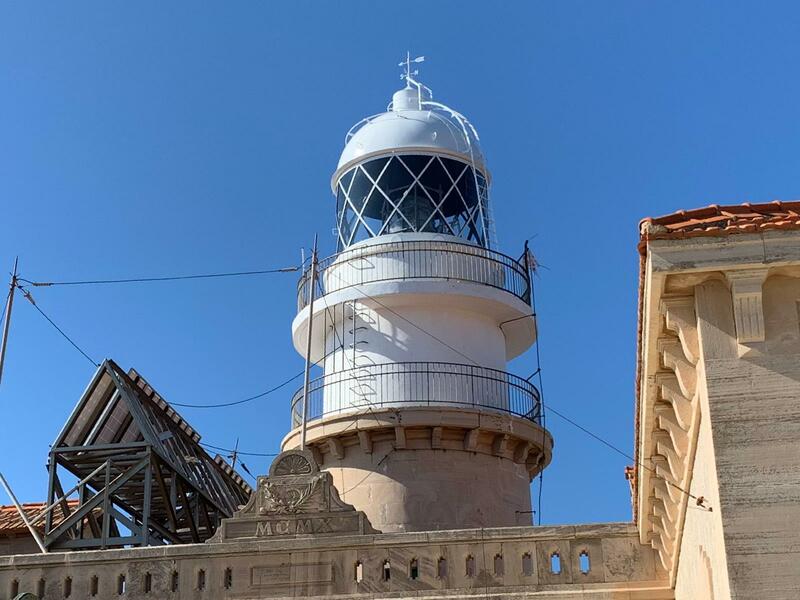 The renovation of this lantern has entailed an investment of 100,000 euros by the Port Authority of the Balearic Islands (APB), which includes its construction and delivery. 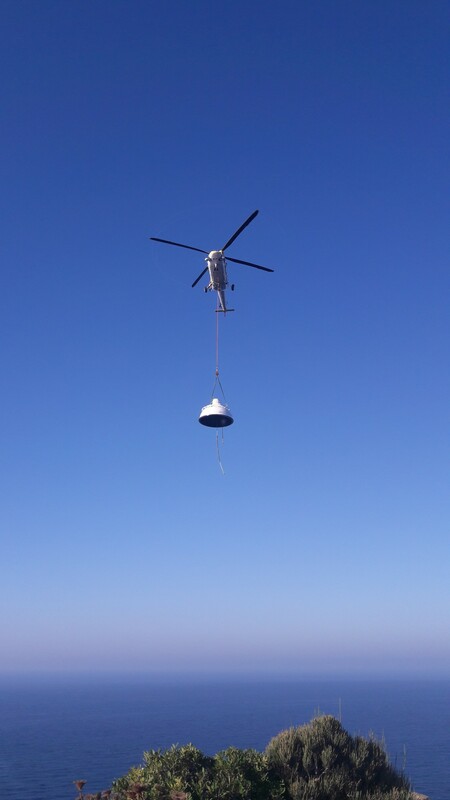 The company, Mediterráneo Señales Marítimas, was entrusted with these tasks. 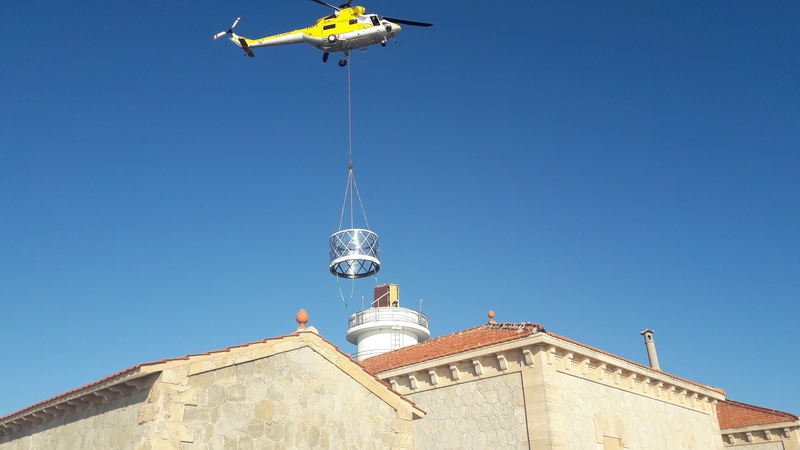 The lantern arrived at the Port of Palma and was taken, using special transport and coordination with the Civil Guard, to Andritxol, Sant Elm. 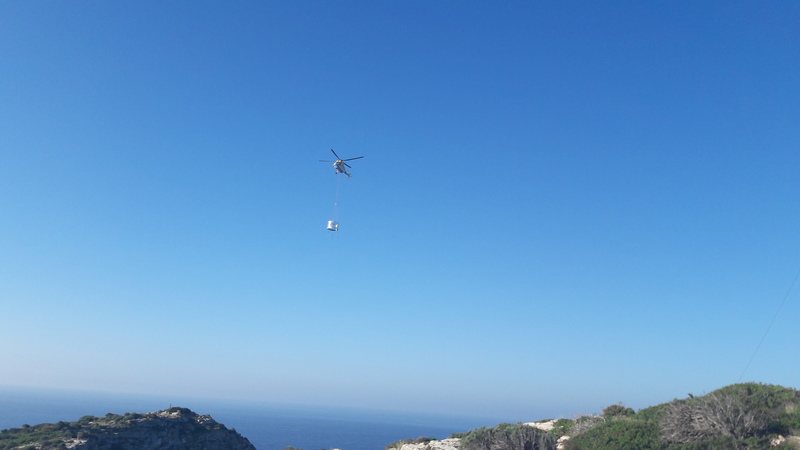 Subsequently, it was taken from Sant Elm on the Island of Mallorca by helicopter. 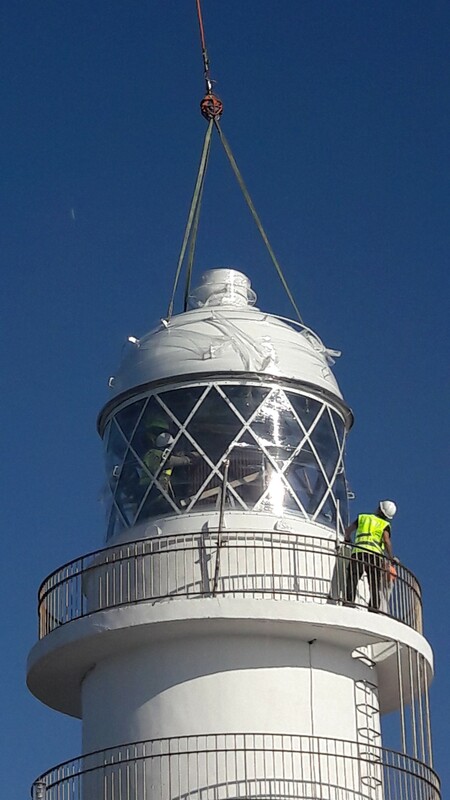 The stainless steel and glass structure was then put into position, where the operators had previously protected the lens with scaffolding. 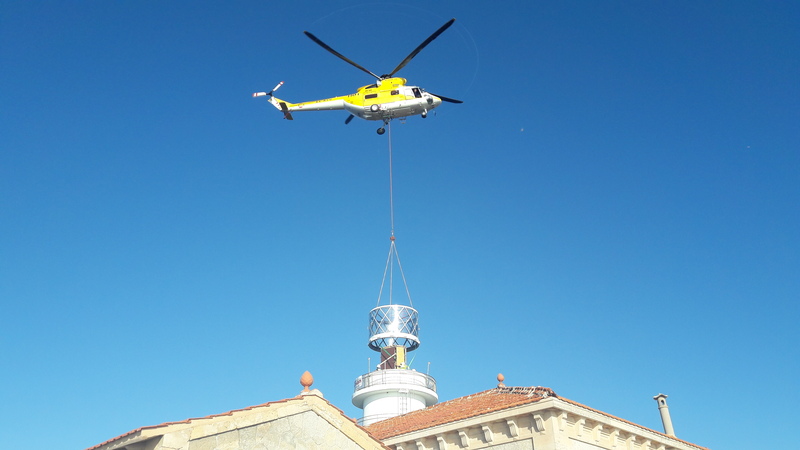 While the helicopter went to collect the dome, the operators fixed the piece to the structure of the lighthouse. 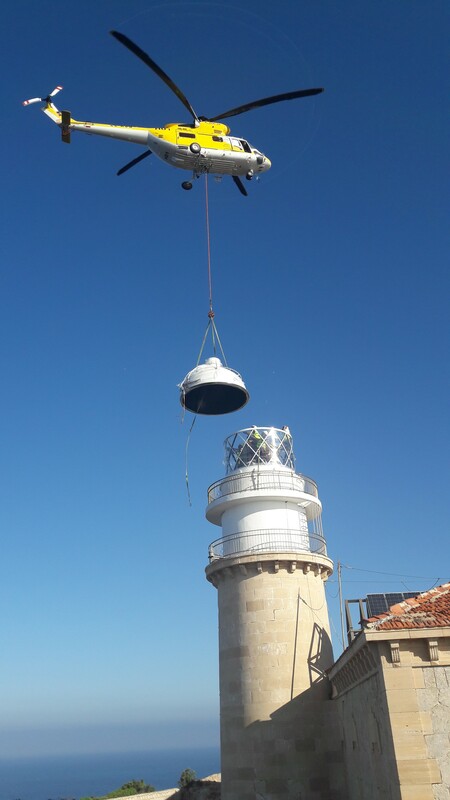 The dome was then positioned and the operators took charge of connecting the lantern. Finally, the dome was fixed into place. 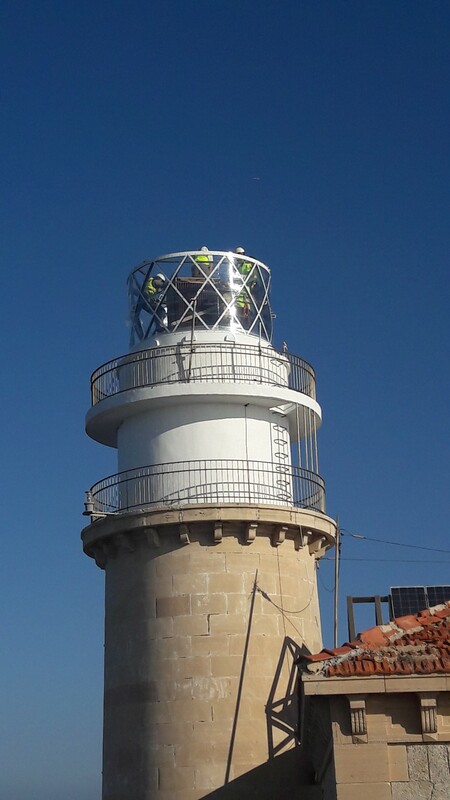 The APB painted the new lantern white to pay homage to the original one. The old lantern dates back to 1969. 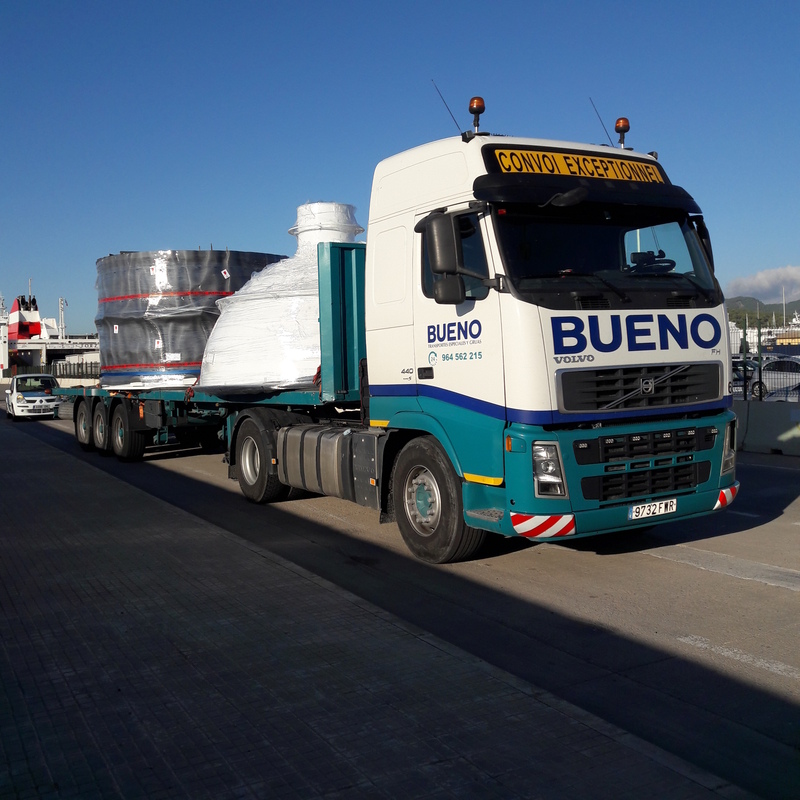 It has been dismantled and will soon be taken to the Permanent Maritime Signalling Exhibition at the Porto Pí, where it will be restored and put on show for visitors. 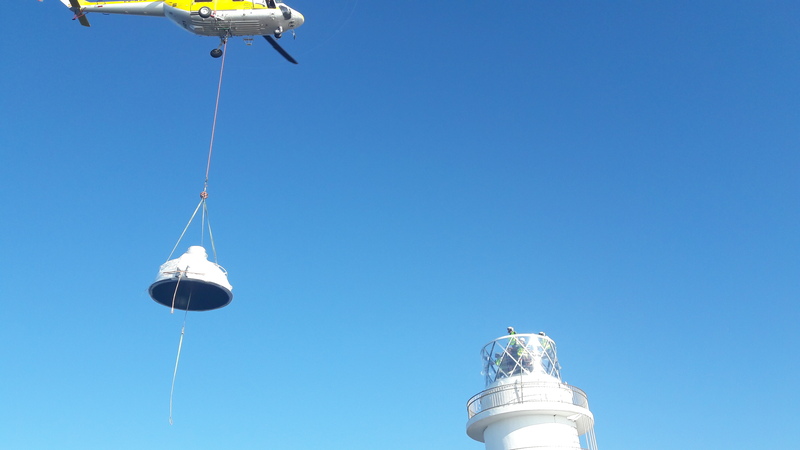 The light of the Llebeig Lighthouse will be substituted by a distress beacon, offering support to sailors, for however long the lantern replacement work lasts.